If your standard, off-the-shelf accounting software program and Excel inventory sheets just aren’t cutting it anymore, maybe it’s time to look at a computer software program developed for commercial growers. Here are some software programs designed to handle the variables and intricacies that are unique to commercial growers’ businesses. 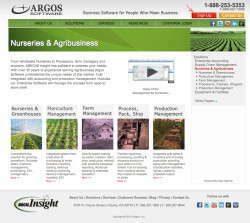 Argos Software offers a full line of enterprise software that is specific to the grower industry. “There are issues with plants that don’t occur in other industries, so there is a need for software that is flexible enough in order to accomplish that,” says sales manager René Huurman. Huurman says based on the grower’s needs and analysis, a custom system is built for each grower. 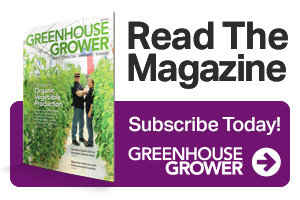 He says often times growers are looking for greater flexibility, which can mean an increase in size and adding equipment. Huurman says the “good old days” of a grower not knowing his costs are rapidly coming to an end. Margins are being squeezed out of the marketplace. Huurman says the software program calculates what a grower needs in order to accomplish a production plan. Huurman says at the store level merchandisers are able to track the plants and update the data base. “The merchandisers can use mobile devices to track actual varieties that were dumped rather than just a SKU,” he says. “If a plant is dumped and you just have a SKU, you’re not getting the entire picture. You want to know what plants are getting dumped at the stores, what plants are selling and what plants are stocked. Visit Argos Software to learn more and view software demonstrations. David Kuack ([email protected]) is a freelance technical writer in Fort Worth, Texas. See all author stories here.